"Satsuma is one of our specialties. Artists including Yabu Meizan, Kinkozan, Nakamura Baikei, Sozan, Hozan, Kozan, Seikozan, Ryozan and others are typically represented. Fine examples with kinran designs as well as traditional Satsuma palettes are always in stock. 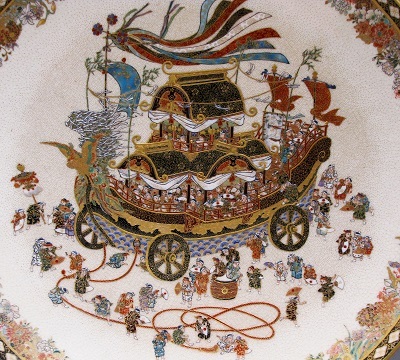 Japanese porcelain is also a primary interest. 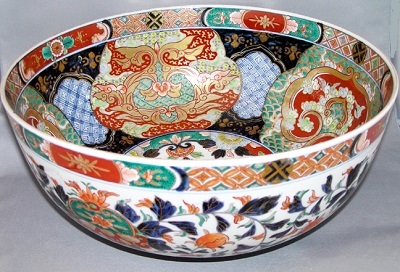 Imari, Arita, and Kutani wares are always in abundance. Figural studies and fine Studio Ceramics are often in stock. We always have large decorative objects of the highest quality available, including chargers, vases and figures. Other Japanese and Asian arts we offer include Cloisonne, bronzes, Sumida pottery, Chinese porcelains are always available.